OPENING TIMES CAMPSITE: Friday, August 23rd (11h) - Monday, August 26th (12h) CHECK-IN TIMES CAMPSITE: Friday, August 23rd (11h-22h) - Saturday, August 24th (09h-22h) Please be aware, with this ticket you can only enter the festival via the Camping entrance. This ticket also includes entrance to the festival on Friday, Saturday and Sunday. - MINIMUM AGE 18, PLEASE BRING YOUR ID! - INS & OUTS ARE NOT ALLOWED. OPENING TIMES FESTIVAL: Saturday, August 24th (11h-23h) Sunday, August 25th (12h-23h) Weekend Tickets are bound to one person. Bring your ticket on both days! You can enter the festival till 22h on Saturday and Sunday. MINIMUM AGE 18, PLEASE BRING YOUR ID! INS & OUTS ARE NOT ALLOWED. Camping not included. OPENING TIMES FESTIVAL: Saturday, August 24th (11h-23h) You can enter the festival till 22h. - MINIMUM AGE 18, PLEASE BRING YOUR ID! - INS & OUTS ARE NOT ALLOWED. OPENING TIMES FESTIVAL: Sunday, August 25th (12h-23h) You can enter the festival till 22h. - MINIMUM AGE 18, PLEASE BRING YOUR ID! - INS & OUTS ARE NOT ALLOWED. O WOW Hostel dispõe de alojamentos económicos e também oferece um restaurante. O albergue é casa de exibições artísticas e é por isso o local perfeito para tirar o maior partido das atrações culturais e artísticas de Amesterdão. O lobby, restaurante e jardins do WOW são espaços abertos, nos quais pode conhecer outros viajantes e estudantes de arte. O WOW Hostel dispõe de vários tipos de dormitórios limpos para 4, 6, 8 e 12 pessoas, decorados em cores primárias. Estação de Sloterdijk fica a 1,5 km do WOW e o Westergasfabriek fica a 2,2 km. Entre as atrações locais destacam-se a Casa da Anne Frank, o Vondelpark e o Lediseplein, todos eles e 5 km do albergue. 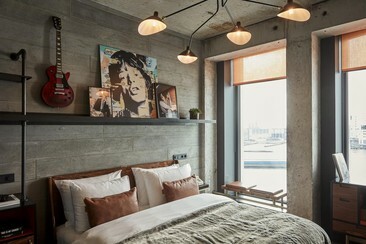 The Corendon Village Hotel Amsterdam is a truly unique hospitality concept. 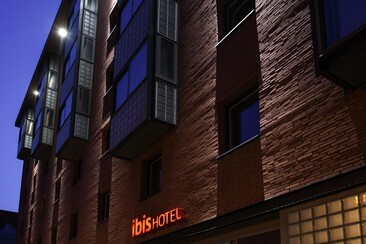 The modern 4-star hotel is conveniently located in the heart of Amsterdam’s metropolitan area. Immerse in a wealth of comfort and entertainment with a wide variety of business and leisure facilities. Corendon Village Hotel Amsterdam features an extensive selection of restaurants & bars, wellness facilities and a fitness area. The hotel is facilitated with free Wi-Fi, a bar and restaurant, 24-hour front desk and luggage storage spaces. All rooms offer a flat-screen TV with Netflix, coffee/tea making facilities and a modern bathroom with walk-in shower. just over a 30 min drive away! 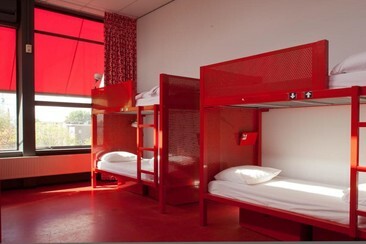 Set in the Schiphol area, Tulip Inn Amsterdam Airport features air-conditioned rooms and private parking. Guests can enjoy the on-site restaurant. Every room is equipped with a flat-screen TV with satellite channels. Certain rooms have a seating area where you can relax. Each room is equipped with a private bathroom. 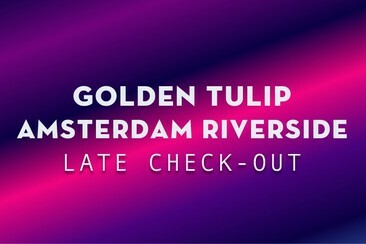 Tulip Inn Amsterdam Airport features free WiFi throughout the property. You will find free shuttle service at the property. 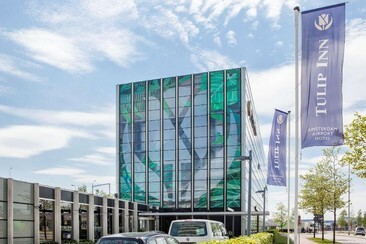 The nearest airport is Schiphol Airport, 5.6 miles from the property. 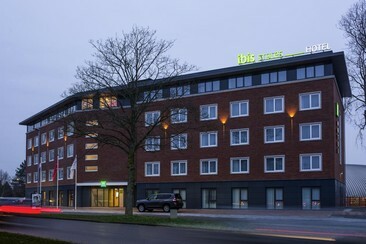 The brand new Ibis Styles Haarlem is located at the sports boulevard of Haarlem. All room have a very sporty design. Both Beach Bloemendaal and the city center of Haarlem are nearby and easily accessible by bus. The city center of Haarlem offers a wide variety of museums, shops and restaurants. The hotel is equipped with its own bar where you can relax and go for a drink. All rooms are equipped with comfortable beds, a TV, Wi-Fi and a bathroom with a shower. 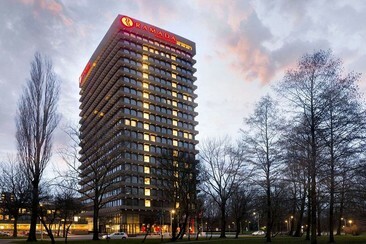 Ramada Apollo Amsterdam Centre offers modern and elegant rooms next to Rembrandtpark and the A10 ring road in Amsterdam. It includes a 17th-floor sky bar with scenic views over Amsterdam and free WiFi. Guests can make use of the shuttle bus service to Schiphol Airport. All of the air-conditioned rooms at Ramada Apollo come with flat-screen TV, a seating area and tea/coffee making facilities. They also have a bathroom with a bath or shower. Guests can enjoy a refreshing work out in the spacious gym, relax in the sauna or top up their tan in the solarium. Guests can order a cocktail or other beverages while soaking up a 360-degree view over Amsterdam from the Floor17 Rooftop Terrace with its special Drink, Dine & Dance concept. Guests can also benefit from the 24-hour breakfast service. 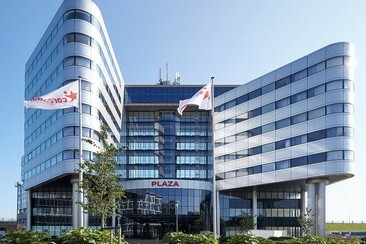 Schiphol Airport is 15 minutes' drive from Ramada, and a shuttle is available on request. Admiraal Helfrichstraat tram stop, offering a direct tram connection to Dam Square in approximately 20 minutes, is 400 yards away. There is an indoor car park available on site. 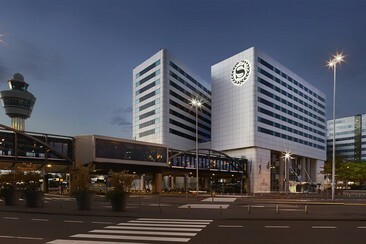 Directly connected to Schiphol Amsterdam Airport via a covered walkway, Sheraton Amsterdam Airport Hotel and Conference Center is located less than 5 minutes from the airport's arrival and departure halls, providing ultimate convenience to walk between the hotel, the terminals and other services at Airport City Schiphol. All 407 comfortable soundproofed rooms and suites feature the signature Sheraton sleep experience bed, for a memorable good night's sleep. Room amenities also include satellite TV, modern décor and a refrigerator. With views overlooking the airport runway, the Sheraton Club Experience provides a warm and connecting environment and includes complimentary breakfast, evening hors d'oeuvres and a variety of beverages. The parking spaces are the closest to the airport terminals. 35 min drive and you're there! 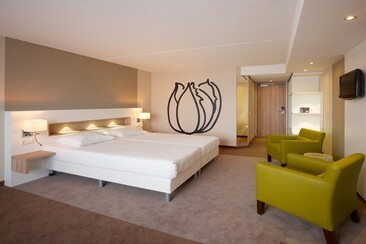 Overlooking the IJ-river and the historic city centre, Sir Adam Hotel is set in the brand new A'DAM tower in Amsterdam. Guests can enjoy a burger at The Butcher Social Club. Central Station is a 2-minute ferry ride from Sir Adam Hotel. All rooms are fitted with a flat-screen TV and a private bathroom. Certain units have a seating area to relax in after a busy day. For your comfort, you will find free toiletries and a hairdryer. Tickets for the A'DAM LOOKOUT observation deck can be bought at the hotel. The Hub combines a co-working space and concept store, while The Deck offers flexible studios suitable for events. The Butcher Social Club offers burgers and cocktails, which guests can enjoy outside on the terrace when weather permits. The Butcher is also open for breakfast and lunch. Sir Adam Hotel also feature a gym area in which guests can enjoy guided classes and in-house fitness instructors. Bike hire is available at this hotel, as well as car hire. Dam Square is 1 miles from Sir Adam Hotel, while Beurs van Berlage is 0.6 miles from the property. The nearest airport is Schiphol Airport, 8.1 miles from Sir Adam Hotel. Amsterdam Noord is a great choice for travellers interested in museums, nightlife and city walks. Purchase WOW Hostel towel set to enjoy comfortably! 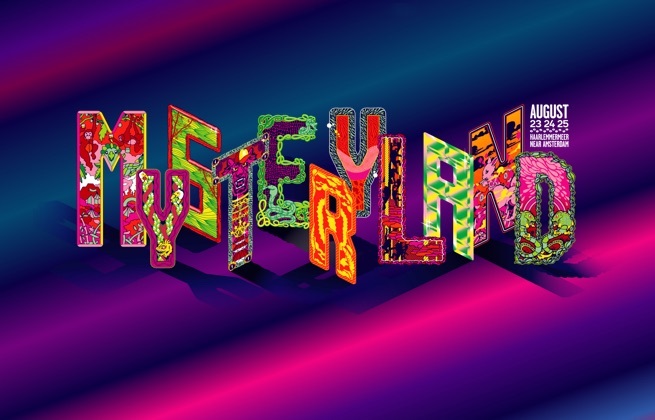 Mysteryland is the original electronic music festival, taking place in the outskirts of Amsterdam. Dating back to 1993, the festival is widely considered the first music festival to solely present electronic music. Priding itself on offering a lineup composed of the biggest and best acts from across the wide spectrum of electronic genres, EDM, house, techno, hardstyles and beyond are all represented. A classic spacious camping festival, Mysteryland has called the vast event space in Haarlemmermeer home since 2003. The festival takes place in a sprawling and lush event space in Haarlemmermeer municipality, close to Amsterdam.